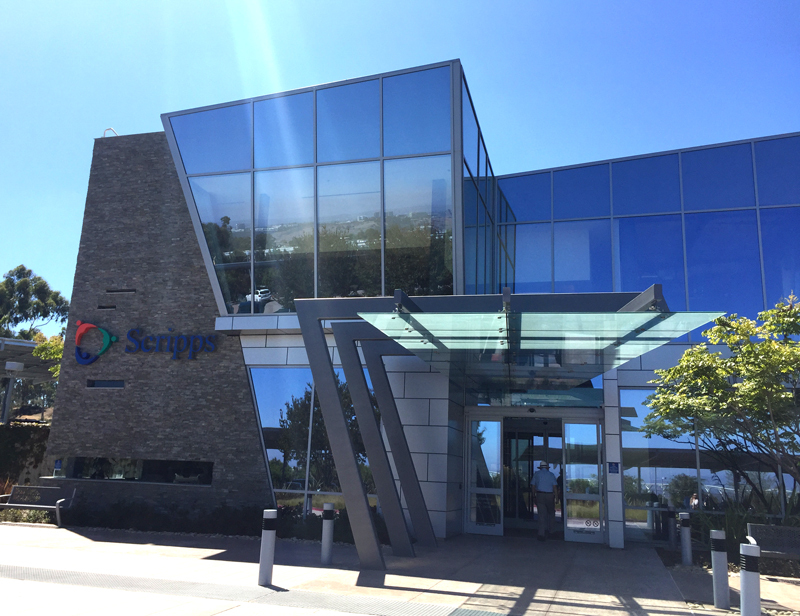 In August 2016, Scripps Health and The University of Texas MD Anderson Cancer Center formed a partnership to create Scripps MD Anderson Cancer Center, a comprehensive and clinically integrated cancer center care program that will provide adult cancer patients greater access to the most advanced oncology care available throughout Southern California. Scripps MD Anderson is part of a global collaborative network of hospitals and health care systems dedicated to MD Anderson’s mission to end cancer globally. 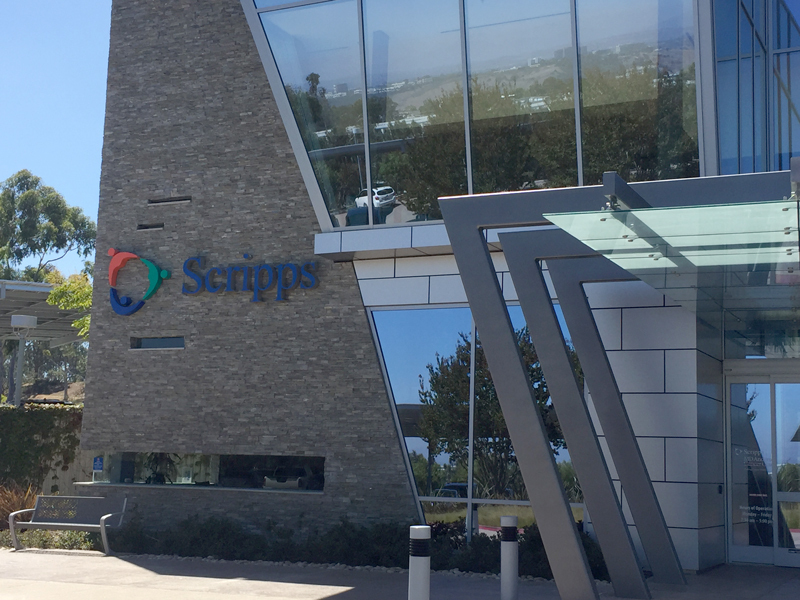 This collaboration allows Scripps to combine their expertise with MD Anderson’s knowledge and capabilities in order to serve patients in the area from Santa Barbara, CA to the US-Mexico border. 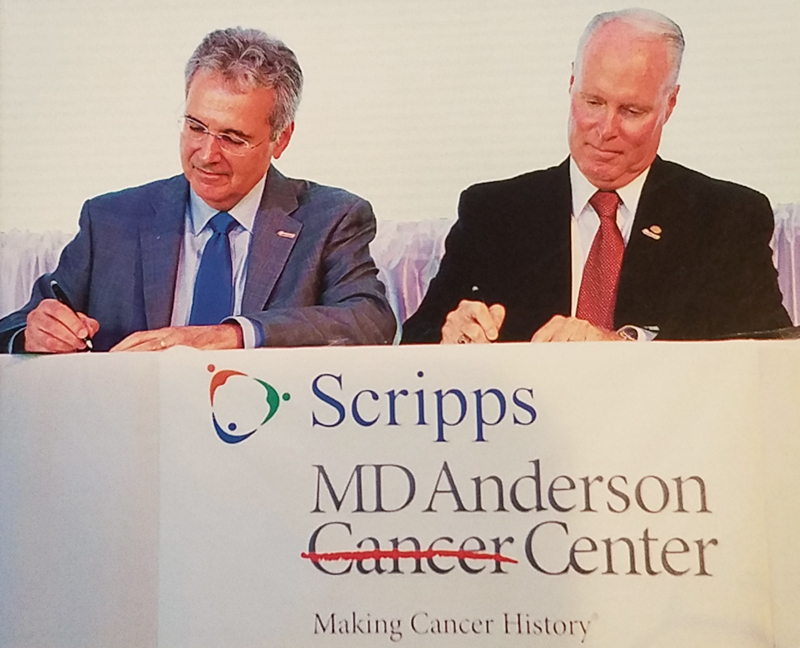 The Scripps MD Anderson Cancer Center will bring leading cancer care to all cancer patients. The goal of this collaboration is to provide: Additional Physician expertise on each patient’s care; greater access to clinical trials; improved chemotherapy; robust cancer prevention program and more access education and communication to patients and their families. The Menard Family Foundation has assisted in the funding of the O’Toole Breast Care Center at Scripps Mercy. This center will be incorporated into the Scripps MD Anderson Cancer Center at Scripps Mercy Hospital when the new center in Hillcrest is completed. 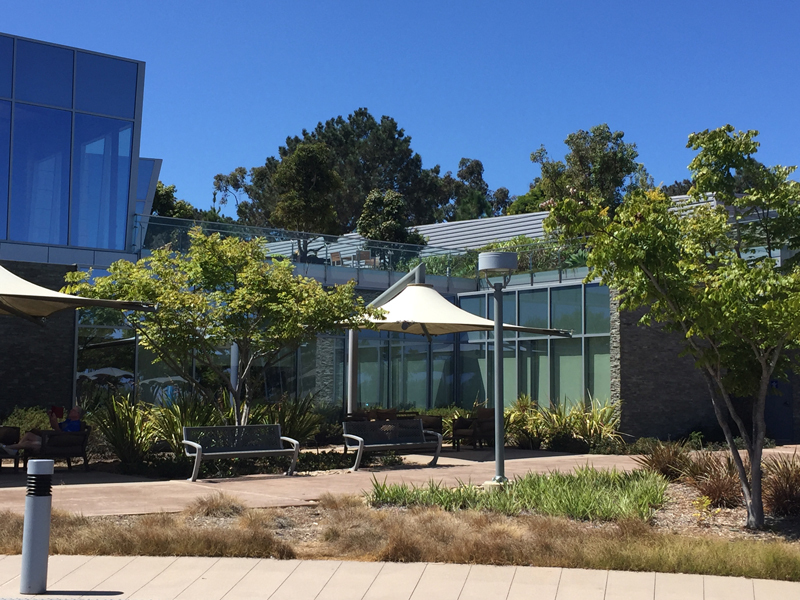 Director Barbara Menard attended gathering at the Scripps Cancer Center in La Jolla on September 13, 1018 with information shared by Mary Ball, Director of the Scripps Mercy Hospital Foundation, and tour led by Dr. Ray Lin. Dr. Lin is the medical director of Scripps Health Radiation Oncology, moderator of the Breast Cancer Tumor Board at Scripps Green Cancer Center and was selected as the program director for Scripps MD Anderson Breast Cancer Service Line.